CIA Director John Brennan is worried Russian hackers may try to disrupt the U.S. electoral system. Brennan on Sunday warned that Russia has “exceptionally capable and sophisticated cyber capabilities,” and the U.S. must stay vigilant. “I think that we have to be very, very wary of what the Russians might be trying to do in terms of . 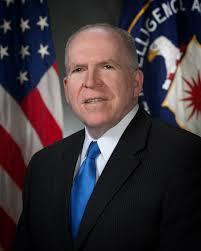 . . collecting information in that cyber realm as well as what they might want to do with it,” Brennan said. The comments come as the FBI investigates cyberattacks of the Democratic Party, which has suggested that Russia is trying to help Donald Trump. Posted: 9/12/16 at 9:36 AM under News Story. Tags: CIA Director John Brennan is worried Russian hackers may try to disrupt the U.S. electoral system.